Just this morning, as I sat down to write a review of a splendid new book on The Buddhas of Bamiyan by Llewelyn Morgan, I saw this headline in the New York Times, Taliban Hits Region Seen as 'Safest' for Afghans -- a grim report on what's up in Bamiyan today. So I decided not to write a formal review after all, but rather to recount the gist of Morgan's remarkable history which turns out to be, alas, only too timely. The colossal Buddhas (pictured above) are, of course, no longer in their niches, having been dynamited to bits by the Taliban in 2001. 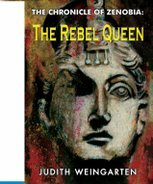 But, first, let me tell you what came before -- it's a long story: the Buddhas 'lived' for over 1,400 years -- and then to the extraordinary true tale of Lady Sale. Bamiyan is an oasis town in the centre of a long valley that separates the mountain chains of Hindu Kush and Koh-i-Baba --some 140 miles/230 km northwest of Kabul. In the late-6th and early-7th century CE, first the smaller (38 meters/120 feet) and then the larger (55 meters/175 feet) Buddhas were cut at unmeasurable cost into the tall, sandstone cliffs surrounding Bamiyan. The taller of the two statues is thought to represent Vairocana, the “Light Shining throughout the Universe Buddha”. The shorter one probably represents Buddha Sakyamuni, although the local Hazara people believe it depicts a woman (Muslims generally interpreted the two Buddhas as man and wife). The two colossi must once have been a truly awesome sight, visible for miles, with copper masks for faces and copper-covered hands. The outer robes (or sangati) were painted dark blue on the inside and pink, and later bright orange, on top. In their latest phase, the larger Buddha was painted red and the smaller white. Travellers as far back as the 11th century speak of one red Buddha and one moon-white. The people of India [i.e. non-Muslims] go on pilgrimages to these two idols, bearing with them offerings, incense and fragrant woods. 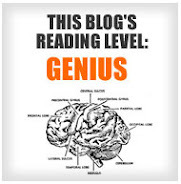 If the eye should fall upon them from a distance, a man would be obliged to lower his eyes, overawed by them. Besides the huge Buddhas, there were numerous caves carved out of the ochre-coloured sandstone cliffs. When the Chinese pilgrim monk Xuanzang visited Bamiyan in 630-631 CE, some 2,000 monks were worshipping and meditating in these caves. One must imagine hundreds of stone and wooden staircases running along the hill face, linking caves that are now inaccessible, their entrances carved and painted and festooned with fabrics. Behind the cliffs rise the high peaks of the Hindu Kush, perpetually under snow. Bamiyan, itself about 2500 m (7500') above sea level, is at the heart of this formidable barrier between India and Central Asia and the valley provides comparatively easy passage through it. So whoever held Bamiyan effectively controlled traffic along a major branch of the fabled Silk Road. In the Buddhist period (most of the first millennium CE), this strategic position made Bamiyan both a lucrative halt for caravans carrying goods across the vast reaches between China and points west, and a bone of contention for powers on either side of the Hindu Kush. Rich convoys and predatory armies have been regular features of Bamiyan's history. Despite folk stories of instant conversion, Islamisation was a gradual, uneven process along the Hindu Kush. Almost a century after the first Arab soldiers reached Afghanistan, another Buddhist monk, Hyecho, visited Bamiyan in 727 CE on his travels from China to India and still found there 'many monasteries and monks'. The northern plains of Afghanistan were conquered by Arab armies by the end of that century but it took another three or even four hundred years for the eastern parts of the country to embrace Islam. Bamiyan was said to have been converted at least three times: in 754-75; or again in 775-85; then, in 870, an Arab strongman captured the city and sent as loot 'fifty idols of gold and silver' to Baghdad, so obviously the monks were still rich and thriving; finally, almost another century later, the founder of the Ghaznavid Empire was said to have done the deed. Whatever actually happened, Buddhists must have lived alongside Muslims in the valley for some time: as late as 1078, a local official still boasts the title of 'monastery keeper'. But it was all for nought. Genghis gave orders that every living creature, from mankind down to the brute beasts, should be killed, that no prisoner should be taken, that not even the child in its mother's womb should be spared, and that henceforth no living creature should dwell therein. In time the valley was repopulated by the people who now live there, the Hazaras. They believe that they are direct descendants of Mongol troops and their families who settled there, and they are quite possibly right: recent DNA tests seem to confirm their Mongol origin. In time, these new inhabitants, too, were Islamised but, for unknown reasons, they became Shi'a -- another cause of tension with the Sunni Pashtun majority and that underlies some of their deadly confrontation with the Taliban in our own times. Know Charles Masson has been here before. 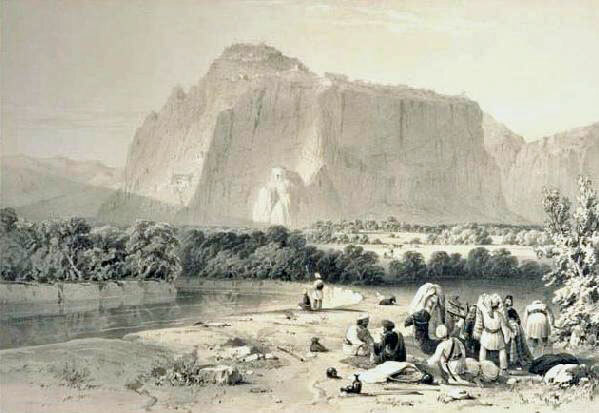 Visitors of an entirely different kind arrived in Bamiyan in the 19th century, adventurers and spies heading to or from British India. The antiquarian Charles Masson (actually a deserter from the British army) arrived in 1832. 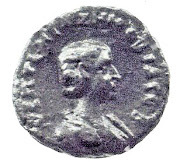 An early excavator of Buddhist sites, he also worked surreptitiously for the British as their 'Agent in Cabul for communicating intelligence of the state of affairs in that quarter on a salary of Rs. 250 per annum.' It didn't take long for Afghan authorities to realize -- correctly -- that English archaeologists was just another way of saying English spies. [Alexander] has reaped the immortality which he so much desired, and transmitted the history of his conquests, allied with his name, to posterity.... And, while we gaze on the Indus, we connect ourselves, at least in association, with the ages of distant glory. A year later, Burnes was at Bamiyan writing about 'the gigantic idols of Bameean', quite convinced that this was the city founded by Alexander the Great, Alexandria ad Caucasum. Burnes would soon return to Afghanistan, this time as part of an invading army as the British played out their fantasies of regime change in Kabul. They wanted to make Afghanistan a friendly buffer state between British India and the Russians on the other side of the Hindu Kush. And so began the First Anglo-Afghan War (1839-1841). So easy to get in, so hard to get out. British and Indian troops occupied the country. Alas, poor Alexander Burnes -- unlike his hero, this Alexander was ripped apart by a mob in Kabul on 2 November 1841, one of the events that led to an infamous massacre of British troops as they retreated from Kabul two months later. Another visitor to Bamiyan was Lieut. John Sturt of the Bengal Engineers, who had been sent to survey the all-important passes over the Hindu Kush. He stopped at Bamiyam on his route back. The officer, suffering from 'Koondooz Fever' (malaria) camped below Zohak, the fortress perched on the red cliffs at the eastern end of the Bamiyan valley. That's where he made the charming drawing of the ruins (above, dated 1840). A little over a year later, Sturt, too, would be dead, mortally wounded during the chaotic and bloody retreat of the British forces from Kabul. Lulled into a false sense of security, the British had reduced the number of their troops in Afghanistan and brought their wives and families to join them. They went hunting, horse-racing and held amateur theatricals in Kabul. But it was not a safe place for European interlopers. The country rose against them, and the outnumbered British and Indian soldiers tried to retreat back to India. As they withdrew through the narrow passes from Kabul to Jalalabad in freezing conditions in January 1842, the British column was attacked from all sides. Few survived. Lieut. John Sturt, who had made that tranquil drawing of Zohak at the entrance to Bamiyan, died in agony of an abdominal wound, leaving his pregnant wife Alexandrina and his mother-in-law Florentia, Lady Sale, to be taken prisoner on the very day he died. By a strange quirk of fate, their captors would take them to Bamiyan, then at the very edge of Afghan territory. They marched there along with their fellow captives, including Lieut. Vincent Eyre, who had been seriously wounded in the disastrous retreat, and his wife and young son. Lieut. Eyre kept an illustrated diary of their ordeal. But I fear this post is already over long and so we must postpone the saga of the CABUL PRISONERS (as they were famously known in England) to another day. * Mass spectrometer tests have determined the age of the organic material in the clay layers. The construction of the smaller Buddha is dated to between 544 and 595 and the larger Buddha between 591 and 644. Top: Buddhas of Bamiyan, from Iwan Lawrowitsch Jaworski: Reise der russischen Gesandtschaft in Afghanistan und Buchara in den Jahren 1878-79, Jena : 1885; photo credit: Andreas Praefcke via Wikipedia. 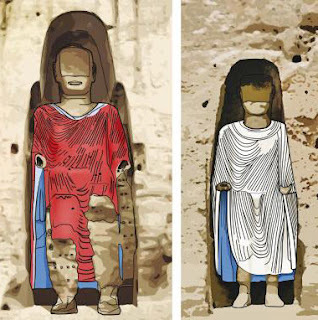 Middle: Reconstruction of colours of the Buddhas robes at the end of the 10th century. Technische Universitaet Munchen via The Silk Road Blog. 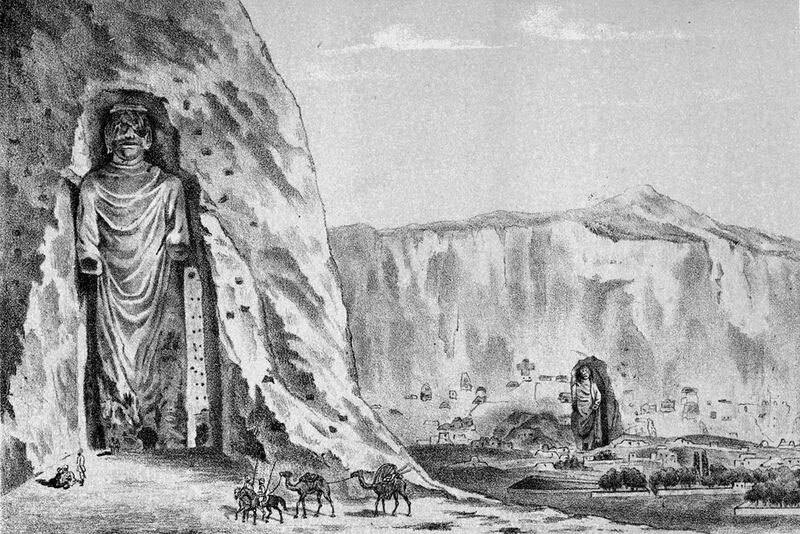 Below: The fortress guarding the entrance to the Bamiyan valley, a lithograph of Shahr-i Zohak, based on a drawing by Lieut. John Sturt, Bengal Engineers (23 August 1840). Photo credit: Leicester Galleries. Those who link Hazara with Changaz they must read the history of Hazara briefly that 1221 Mutugen the grandson of Changaz was killed in Bamiyan Valley by the hand of Hazara!!! The author must describe that as well that Hazara people has killed the grandson of Changaz, Hazara are not descendants of Changaz or Mangol. we Hazara have our own culture, traditon, custom, religion, history, land & everything else. We are not descendants of Changaz. Hazara live in Gharjistan area of current Afghanistan centuries before Changaz!!! It's truly sad that Buddha statues of such high importance were destroyed. It's truly shameful of Taliban to destroy the two colossal Buddha statues of Bamiyan. I hope Government to re-construct the Buddha statues though it may not look like what before it was destroyed.